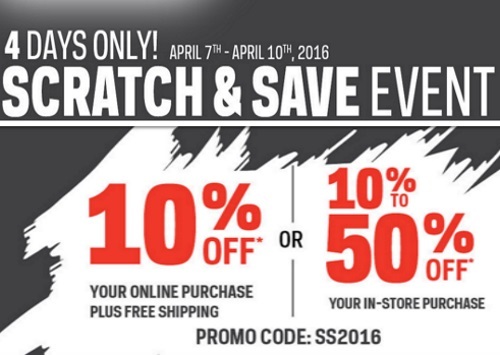 Sportchek has a Scratch & Save Event on now! Save 10-50% off your in-store purchase and 10% off online plus get Free Shipping! Enter the promo code SS2016 online or get a scratch card in-store to get the savings as well. Offer is valid April 7-10, 2016 only.